Our Veils come in black, brown and coloured lace. They pin or tie to the front, or the back of a hat, with or without a brim. You can also wear it as part of your hair-dressing. Short veils are a great way to obscure the unfortunate situation of having spectacles which do not coordinate with one’s outfit. 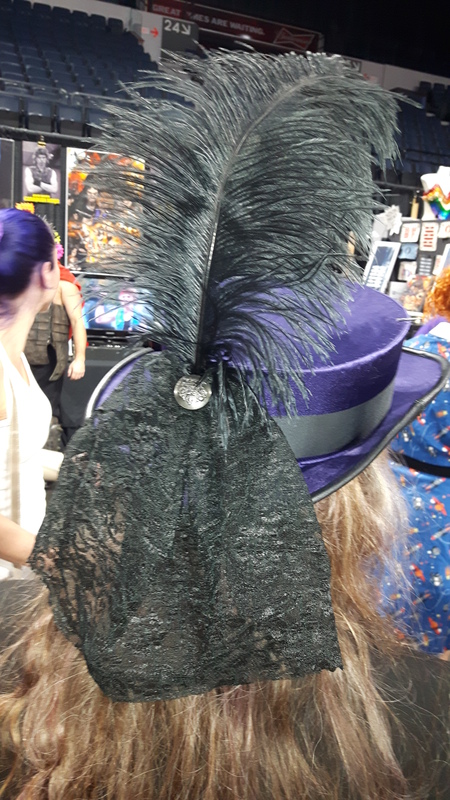 Here, in purple, you can see what a veil and a feather can do to instantly dress a hat. 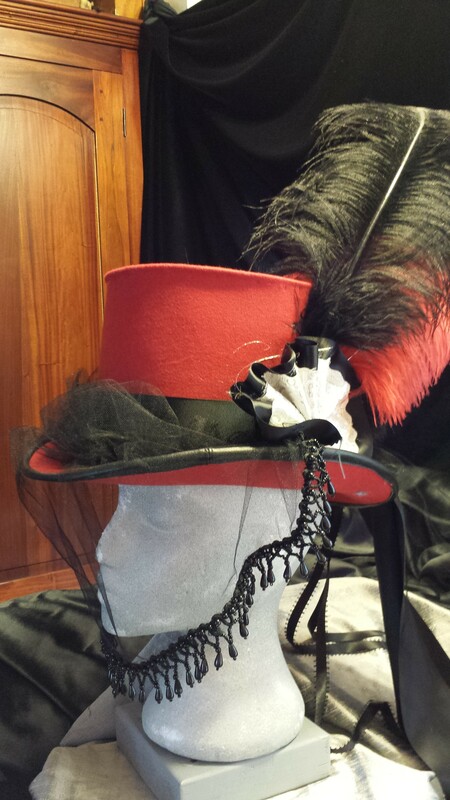 The red hat, in its first incarnation, shows one of our custom, beaded, sheer veils.